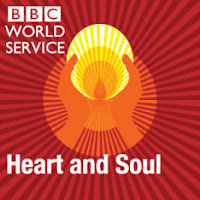 While my way back to work this evening, tuning into BBC World Service on the car radio, I stumbled at BBC World Service weekly program Heart and Soul, that explores religion & spirituality around the world. The Program, Refuge in Bethlehem is the Christmas edition of Heart and Soul on La Creche, or 'the manger', a children's home in Bethlehem run by the Daughters of Charity of St Vincent de Paul. It's one of the very few places in the West Bank where unwanted Palestinian children find a loving home. At La Creche, desperate young women come for refuge to give birth in safety. Tears filled my eyes, heart grew heavy as I was listening to stories of Children like Fares, who was found abandoned in a box near a checkpoint between Bethlehem and Jerusalem; or Ehab, the son of a deaf 16-year-old who was abused by several cousins and neighbours; or Baha, an infectiously cheerful little boy with Down's syndrome. Most of these children were conceived out of wedlock. Every one of these children being innocent suffer the most horrible circumstances given the deeply rooted cultural and tribal bias. Deeply sad is the fact that often time many of these non-sense violence of justice for these innocent new born children goes under the pretext of religious (read cultural) petty mentality and sick emotion. 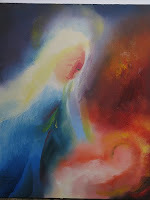 When you think of the story of Mary conceiving Christ, her giving birth and being mocked by her community and rejected by the society and think of today how we celebrate the very birth and when you think of how little we have progressed in our mentality, in our embodiment of compassion. When you think Mother Mary conceived Christ outside of wedlock (yes religious group will say it was Holy Ghost, but lets take the zahir (outward reality) only and that reality was that she wasn't in marital relationship) and this is almost the time of celebration of the birth of Christ, and at the same time we are giving such cruel treatment to many mothers and their child who are born of similar circumstances (at least outwardly). The timely program of BBC from the very land, very town where Christ was born is such a huge irony to understand. We can't help but see that its often the cultural aspect that still dominate our psychological makeup more than our humane qualities, compassion and even religious / spiritual teachings of love, compassion and justice. Where is justice for these innocent children you may wonder if you listen to this program (download mp3 audio of the programme), where is compassion for them and for the young mother who are even raped by their own relatives and forced to give birth pre-maturely? All that is dominating and responsible is what is called 'family honor' which is an utterly tribalist mentality that supersede everything else including basic human rights and minimum compassion worthy from a human being of conscience. May God bless the missionary sisters, nuns and everyone who are behind the work of The Creche and who see the face of Christ upon the face of every children born there and tirelessly serve. May God help us, human race to have more compassion and more love for our fellow beings, including those who are born innocent and those who end up being the so called sinners. About the Crèche: It is an orphanage managed by the Daughters of the Charity of St. Vincent de Paul. The orphanage, which has a long history in Bethlehem, has welcome the orphans since its foundation in the late 19th century. Since the middle '80s, it has expanded its mission to include social problems in the Palestinian Authority Area. About Heart and Soul: is a weekly half-hour programme that has the scope and understanding to explore different experiences of spirituality from around the world. Whether examining religious faith or any other belief-system, the programme talks to believers and non-believers, and tries to get beyond superficial notions of spirituality and religion.